So I guess my lipstick obsession is pretty apparent, as my sister has evidently caught on. 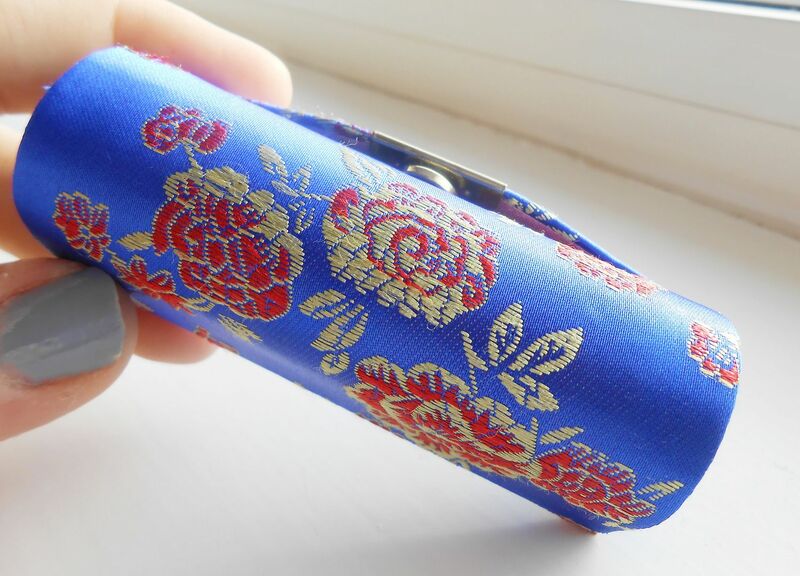 She got me this really cute little lipstick case for Christmas. I love the design, it’s Oriental-esque and feels silky. This is especially awesome for my MAC lipsticks! I know (hope!) 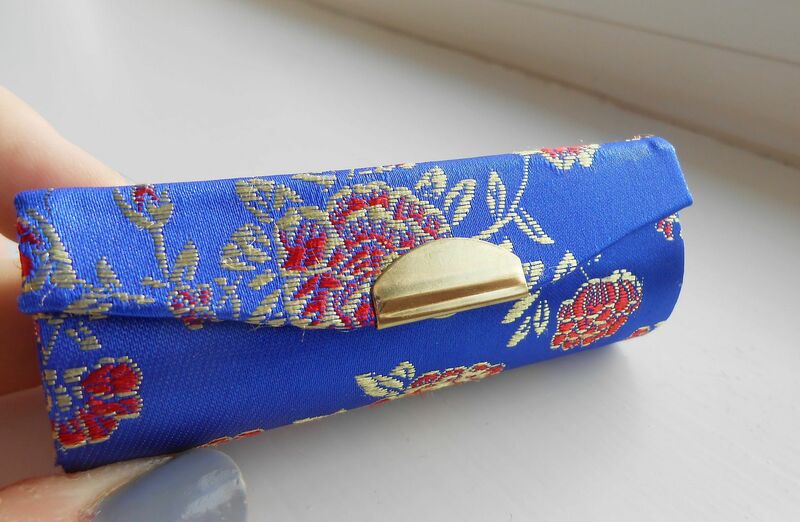 I’m not the only one who often has several MAC lipsticks floating around in my bag at any given time, so I can put my lipstick of the day in this little pouch. Hopefully it’ll be much easier! 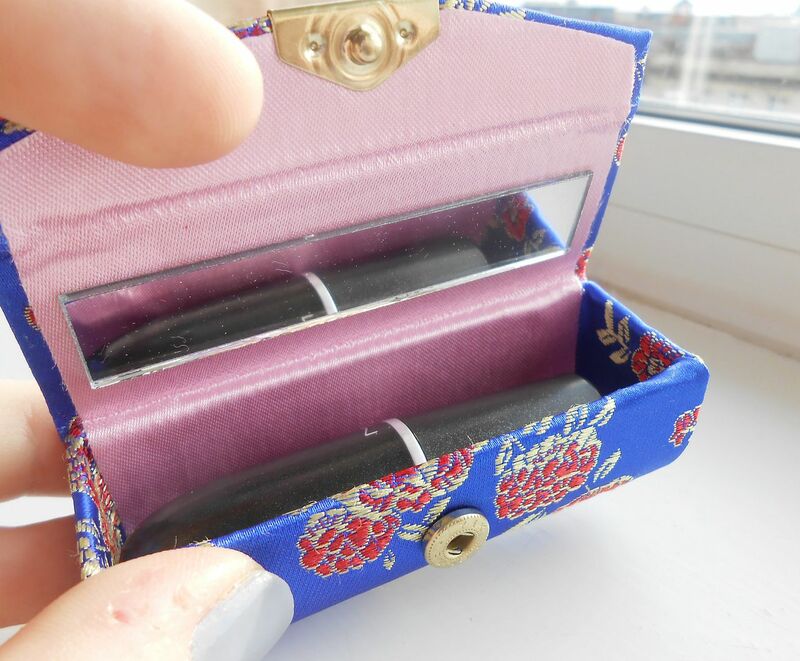 It also has a dinky little mirror the perfect size for your lips. I don’t know where she got this exactly, but I found similar on eBay – link!